From Turnpike and I-95: Exit Glades Rd. heading East. Turn left into FAU’s Main Entrance (NW 10th Ave.). Make your first, immediate right on Indian River St. Continue straight and make a left on East University Dr. Continue straight and make a left on Arts Ave.Park in Garage II on your LH side. From US-1: Turn on Glades Rd., heading west. Make a right into FAU’s East Entrance (NW 13th St.). Continue straight and make a left on Arts Ave. Park in Garage II on your LH side. Shuttle service available from Arts Circle (traffic circle in front of garage) for theater productions. Look for shuttle pickup sign. Please note, this is a new venue for the Big Band Concerts! From Turnpike and I-95: Exit Glades Rd. heading East. 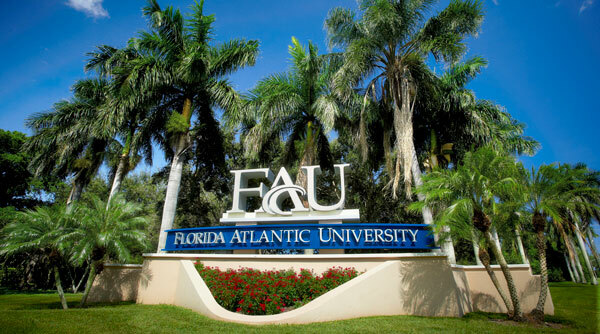 Turn left into FAU’s Main Entrance (NW 10th Ave.). Continue straight and Park in Lot 16 on RH side. From US-1: Turn on Glades Rd., heading west. Make a right into FAU’s East Entrance (NW 13th St.). Make the first left on Indian River Street (heading west). Continue straight until West University Drive and make a right. Park on in Lot 16 on RH side.